The PTA is proud of the programming we have chosen to support our students' education. This year we hope to continue the numerous programs that meet the needs of the students of Red Hill and have helped define us as a Gold Ribbon School and a California Distinguished School. Every child attending Red Hill benefits from the many programs and activities funded by the PTA. Below is a list of programs that are funded by the Red Hill PTA. A large portion of the Red Hill PTA's yearly budget provides for the salaried cost of all the classroom assistants and paraeducators. These assistant teachers help with small group instruction, grading, monitoring the playground during lunch and recess, and general work that allows the teacher to instruct more effectively. A portion of the PTA's yearly budget goes to the general updating of the computers and iPads at Red Hill. In addition, the computers in classrooms, purchased for the school by the PTA, also receive necessary upgrades. Red Hill has a newly-refurbished Technology Lab with new laptops, infrastructure, and innovative/flexible furniture that will support and encourage 21st Century learners. With the new Common Core standards and Smarter Balance testing, it is crucial for our students to have current technology at their disposal. We are constantly improving and adding to our Tech Lab to make it a valuable resource for our Rockets. Each year, the PTA gives each teacher an allotted amount for the year to spend on classroom supplies for their classroom. These items aid in the day-to-day instruction specific to that classroom and the teacher's curriculum. The PTA provides the funds for the necessary technology support that Red Hill requires each year. The PTA also provides the funds for the costs associated with the office copying machines. Funded by the Red Hill PTA, Art Masters is a national arts education program that provides hands-on instruction with the help of PTA volunteer parents. The children have six lessons throughout the year on six different artists or genres including a lecture on the artist, a study of their artistic style, and the opportunity to create actual work in that style. The children welcome Art Master days with enthusiasm and the parents who volunteer appreciate the opportunity to be in their child’s classroom. This is truly a win-win proposition! The PTA helps pay for buses for grade-level educational field trips which enrich our students learning. In addition, the PTA provides the funds for the Walk Through History assemblies. A Walk Through is an engaging and interactive educational presentation of standards-based history curriculum through literacy and the arts. The 2 ½ hour experience is an unforgettable“in-school field trip.” The program is facilitated by a trained presenter who guides the students through historical events using dynamic, kid-friendly stories and activities. Games, music, and dramatic activities encourage participation and comprehension of the curriculum. Red Hill's 4th grade students complete the Walk Through California program while the 5th grade students participate in the Walk Through the Revolution. Lastly, the PTA also provides assemblies that are science based and support grade-level standards. Inside the Outdoors provides a "Scales or Slime" presentation for the 1st grade and "Me and My World" for the kindergarten students. Discovery Science to Go provides the 2nd grade with a "Forces and Motion" presentation and a "Reactions Lab" for the 3rd grade. Red Hill Elementary is very fortunate to have its own big, beautiful garden for the students and teachers to enjoy. It truly is a living, growing, outdoor classroom. Each class visits the garden monthly with parent volunteers for hands-on lessons in various areas such as, horticulture, earth science, ecology, and more. Students grow and harvest seasonal produce and learn about the connection between what they eat and where it comes from. Experiences in the garden give them a better understanding of how the natural world sustains us, and promotes nutritional and environmental consciousness. The individual classroom vegetable boxes that were planted in October are full of radishes, carrots, various lettuces, sugar snap peas, broccoli, cauliflower and beets. All of these winter vegetables will be harvests and enjoyed by the students from December to February. By early February our very own strawberry patch will be abundantly producing delicious Caramosa strawberries. In the same month classroom vegetable boxes will be replanted with Spring crops. Tomatoes, cucumbers, zucchini, and corn are always popular in Red Hill’s Spring garden, not to mention plenty of flowers. Lots of Sweet Peas, Hollyhocks, Sunflowers and Cosmos will be planted inside and out of the garden. Please stop by anytime for a self-guided garden tour. You are invited to look at the monthly garden calendar and lend a hand with your child’s class on their scheduled garden dates. 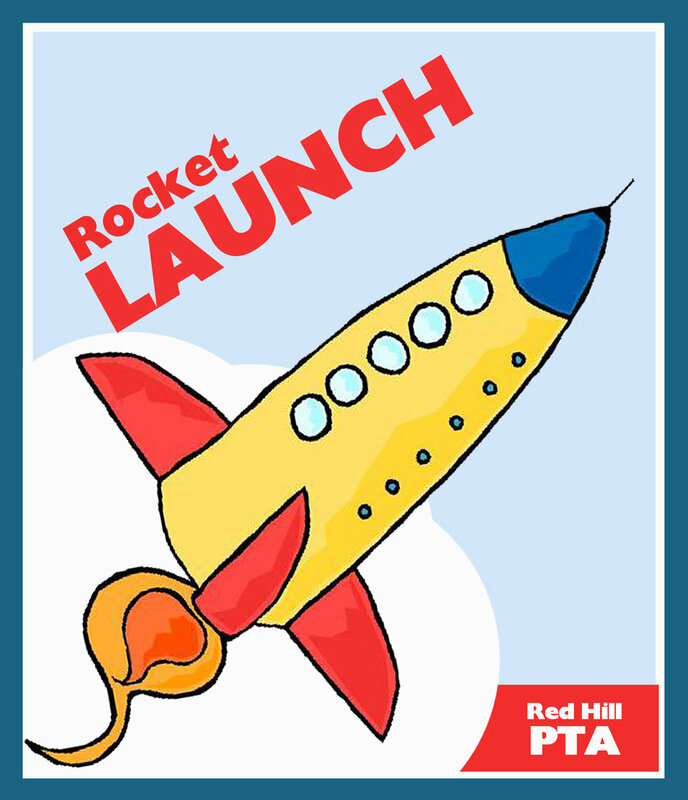 The Red Hill PTA sponsors an exciting Musical Theater Program for our Rockets! Students involved will have the opportunity to learn about the many different facets involved in producing a fully-staged musical. This program allows our students to engage in creativity and the arts, but also provides other real world applications. Our students have the opportunity to participate in acting/singing/ dancing with this program, but we also engage students in set building, costume making, backstage management, digital program design, ticket sales, and so much more. All students involved walk away from the program with cooperation and collaboration skills, self confidence, self discipline, communication skills, and an increase in imagination and creativity.